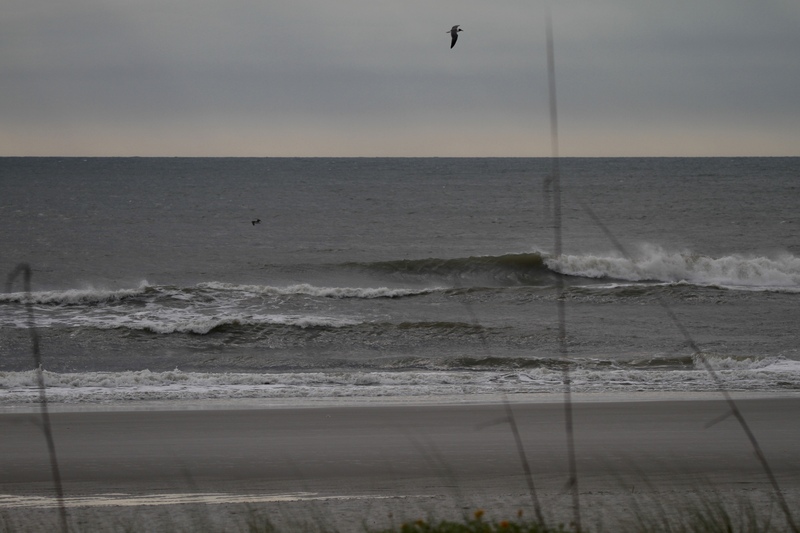 Waves have picked up a bit since this morning. It’s in the knee high range and breaking super weak. It will push a longboard if you need to surf it just didn’t look very fun though. Surf is coming check the forecast!